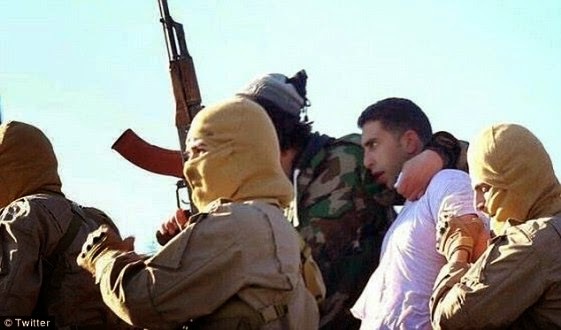 Here's a sad photo of Jordanian pilot who was captured by ISIS militants after his warplane was shot down while he was conducting airstrikes over Syria. 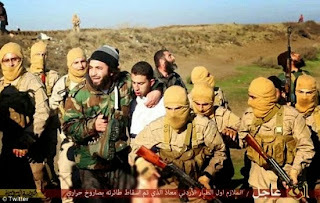 ISIS shared photos of his capture on Twitter Jordanian Information Minister Mohammad Momani told AP that First Lieutenant Mu'ath Safi Yousef al-Kaseasbeh's plane was shot down by 'ground fire'. 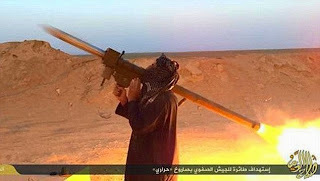 This is the first time a foreign soldier will fall into ISIS hand since the U.S-led coalition began its air campaign against the extremists. 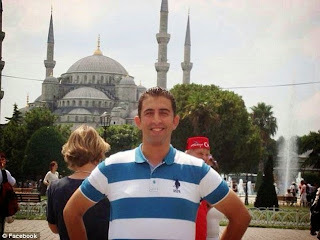 The 27 year old pilot is said to be from a prominent Jordanian family. His family said Mu'ath felt it was a religious duty to fight ISIS because they were 'distorting the true spirit of Islam'. His family has publicly begged for mercy, asking ISIS to release him but that's probably not going to happen..